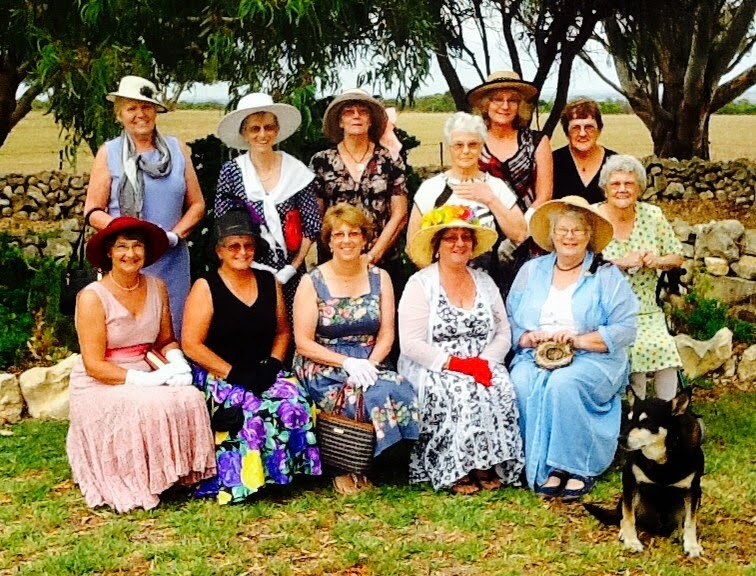 Quite a few of our members made it to Geraldton today for a lovely day of quilts and shopping at Geraldton Patchwork Club's Anniversary Ffair. The crowds were kept busy admiring the quilts and the stocking up on crafty goodies from the stalls. It was great to see the display of "Challenge" quilts and the variety produced from the one pattern. Looks like a busy and enjoyable day was had by all. Haha! You would know. Did you notice your pic, Mary?